Have you ever experienced pain and scratchy feeling in the throat? And, the pain gets worse the moment you swallow and talk? These strange, relatively uncomfortable and icky feelings are early signs and symptoms of sore throat. Sore throat refers to pain, irritation and itchiness of the throat that affects people of all ages, yes, whether you are young or old you are prone to this. Causes of which can be viral or bacterial infection, but it can also be triggered by environmental factors like when you are allergic to pollen, mold, pet dander, or other irritants. I had my fair-share of this illness that knocked me out on bed for almost two days a week before my birthday. Honestly, I hated having it because I can’t almost talk, eat and drink. It was really frustrating and painful that even my birthday plans took a back seat because of this. I had an informative conversation with my daughter’s voice coach, Ms. Daryl Ortuoste, regarding having sore throat. I was just curious to know how it affects her work. Come to think of it, if I felt so frustrated when I had it, how much more for a person like her whose biggest investment is her voice. 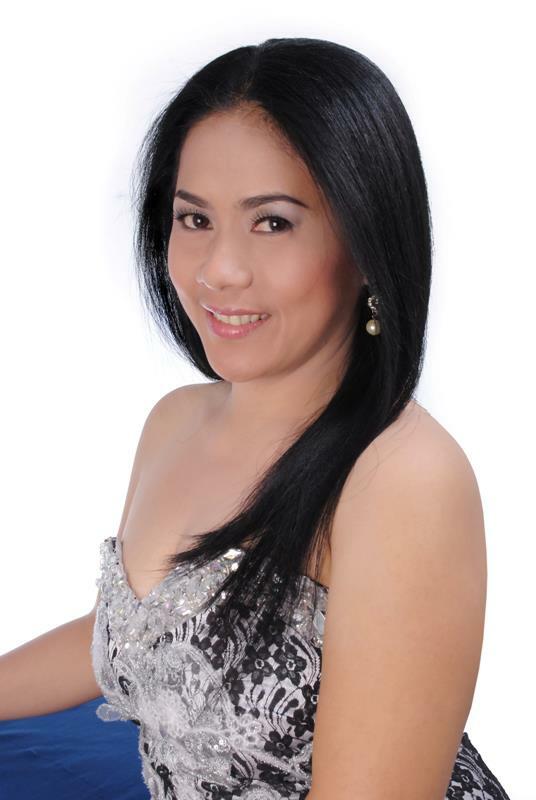 Meet Ms. Daryl Ortuoste, she was a former voice coach of Center for Pop Music. Currently, she has her own business named RDH Entertainment Network, and, on the side, she does home service voice lesson tutorial. Early signs and symptoms she normally had were dryness of throat, cough, colds, swelling and hoarseness of voice. Once, she felt pain when swallowing, she already knew she has sore throat. She had to deal with itchy throat and continue working despite of the pain. There was one instance she felt so embarrassed to her students and to the parents watching when her voice croaked while hitting the high note. The entire session, she was teaching proper breathing and correct way and style to hit the high note, then, all of a sudden her voice grumbled. It was really hard and challenging for her to deal with that situation while keeping her composure. 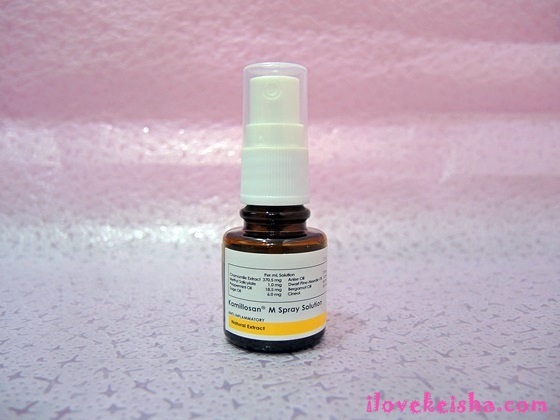 After that, I handed her Kamillosan M Spray Solution which was prescribed to me by my doctor when I had sore throat last April. 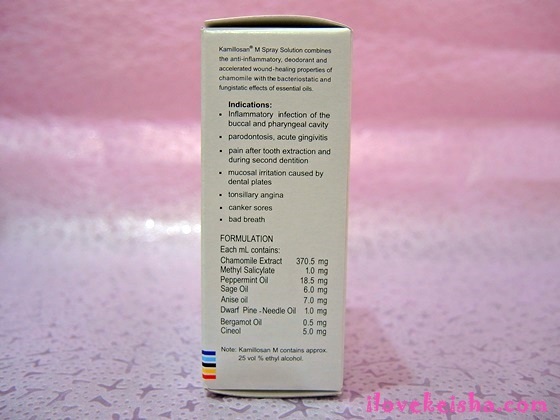 Kamillosan M Spray Solution is the only natural throat spray prescribed by healthcare professionals and the most prescribed throat spray by throat specialists. It combines the anti-inflammatory, deodeorant and accelerated wound-healing properties of chamomile with the bacteriostatic and fungistatic effects of essential oils. Apply the sprayer 3 times daily to the affected region of the buccal and pharyngeal cavity. Two puffs applied with the spraying head correspond to a fully effective single dose. It is recommended to use the sprayer after meals. This can be given to kids, as early as 1 year old. This is usually used for teething, instead of the spray, you can use cotton swab. There has been no study if this can be given to pregnant and lactating mothers, doctor has to weigh the risk over the benefits. 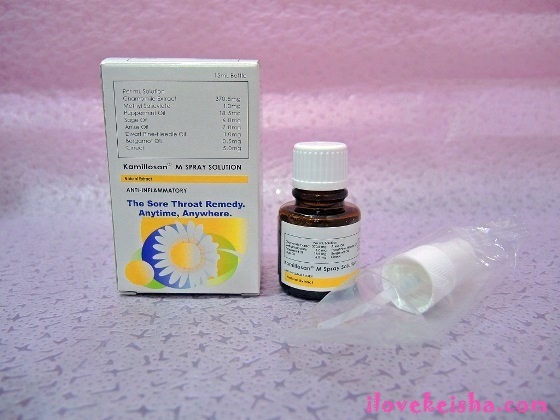 Kamillosan can be used and sprayed as often as needed since this is made with natural ingredients. There is no maximum dose for it. My daughter’s voice coach was more than happy to know that she can kiss goodbye to her sore throat problem together with the embarrassing experiences she endured with it as she found her perfect sore throat remedy partner that she can use anytime, anywhere. Can i drink water immediately after spraying? One it is open the spray bottle how long it can be use?